Each year, the world-renowned colour authority, Pantone, releases its colour of the year. Typically this is a colour that has infiltrated the rest of society as well, not just the design world. If a colour is finding its way on to runways, on social media, in art as well as design, it’s likely it will land the ‘colour of the year title’. For 2017, Pantone announced that the colour of the year would be ‘Greenery‘, which is a ‘fresh and zesty yellow-green shade’. 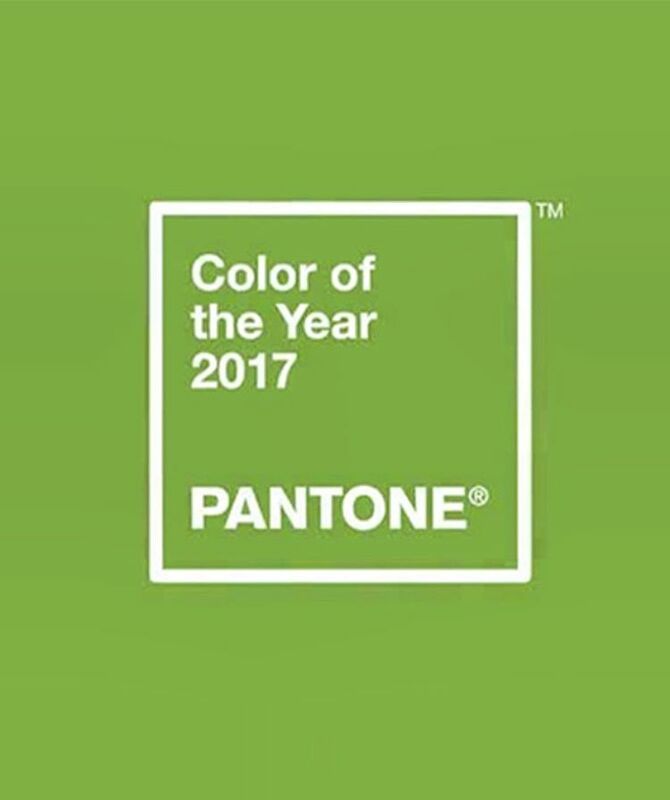 In their official statement Pantone said that the colour ‘evokes the first day of spring, when nature’s greens revive, restore, and renew’. As modern, busy individuals in the world, we begin to crave the chance to be immersed in the beauty that can be found in the natural world, and what colour is more appropriate for this sentiment than greenery – nature’s neutral? 2017’s colour of the year is meant to be symbolize new beginnings, so in that vein, here are some ways to integrate Greenery into your home this year for a fresh start. To dip your toe into the world of Greenery why not start with some design accents? 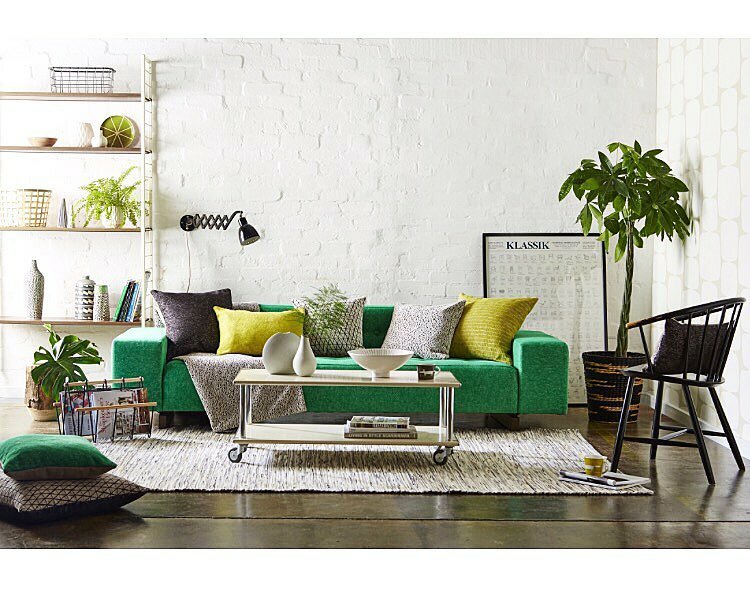 Add a green pillow here, a throw rug there or maybe even a carpet or curtains if you’re feeling like you want to try some new touches of green in your home. 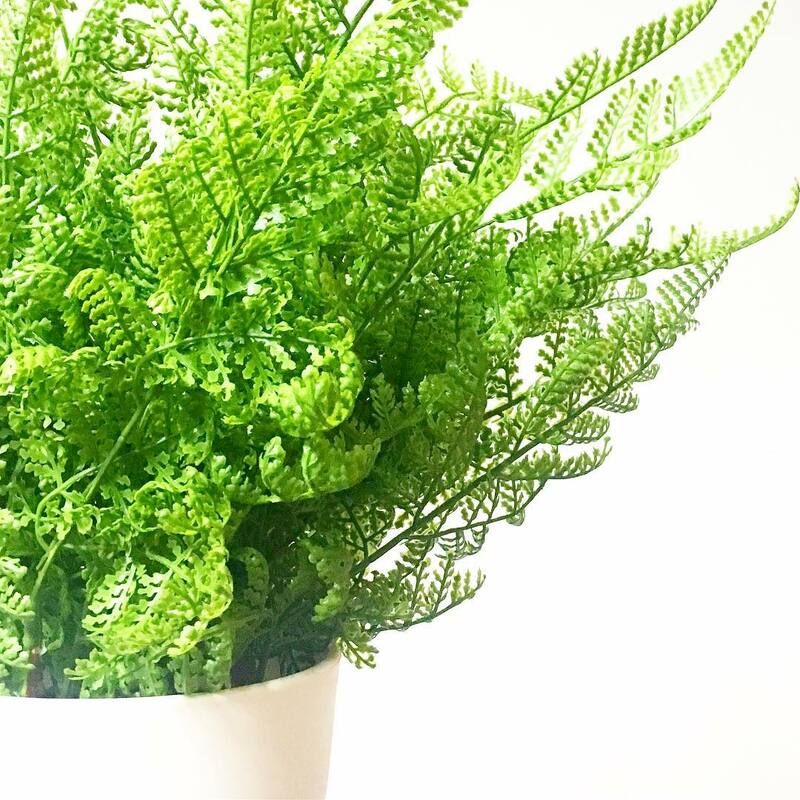 Another simple way to take Greenery for a trial spin in your home is to purchase some plants that are the perfect shade of green! 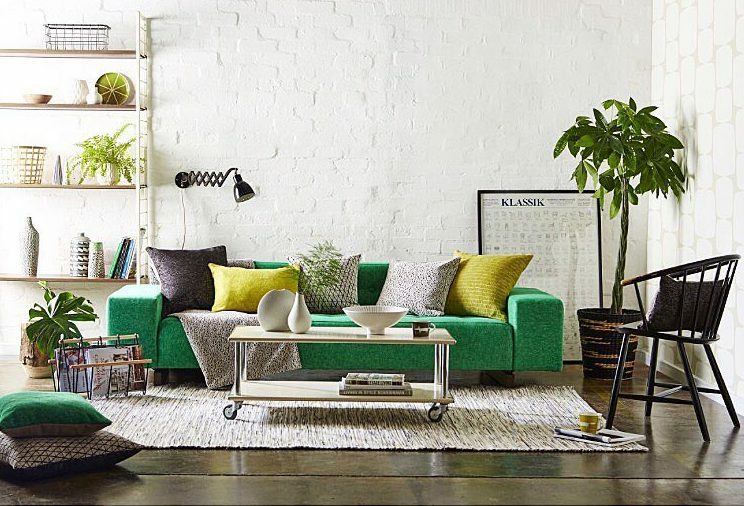 A live pop of green can really add a fresh and zesty vibe to your space. 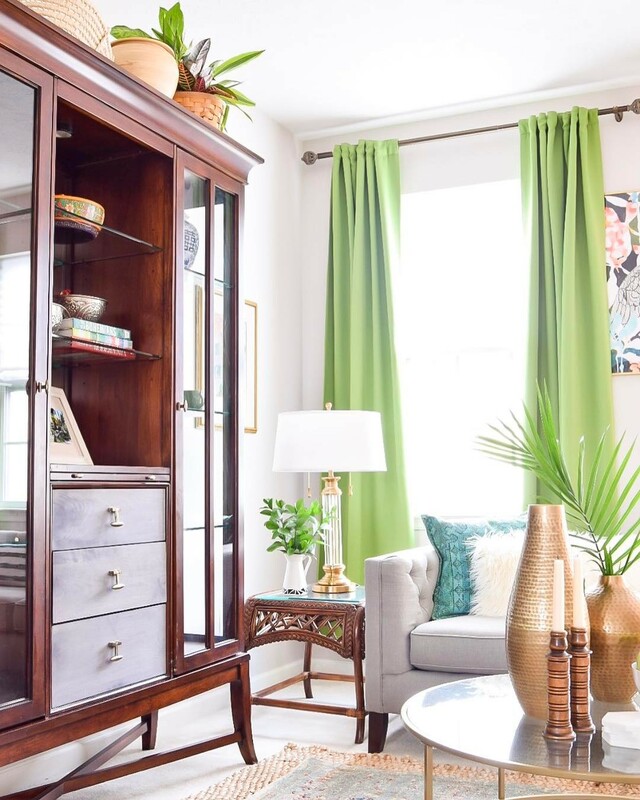 If you’re starting to really fall in love with Greenery and want it to have a bigger part of your home, then perhaps a piece of furniture that is the right shade of green would be the best new addition to your home. A couch draped in luxe Greenery fabrics would not only be a sophisticated design choice, but a bold one. By this point you’re likely convinced of the beauty that is ‘Greenery’ and are ready to embrace it even more in your home! Why not find a cool wallpaper that features the colour of 2017? 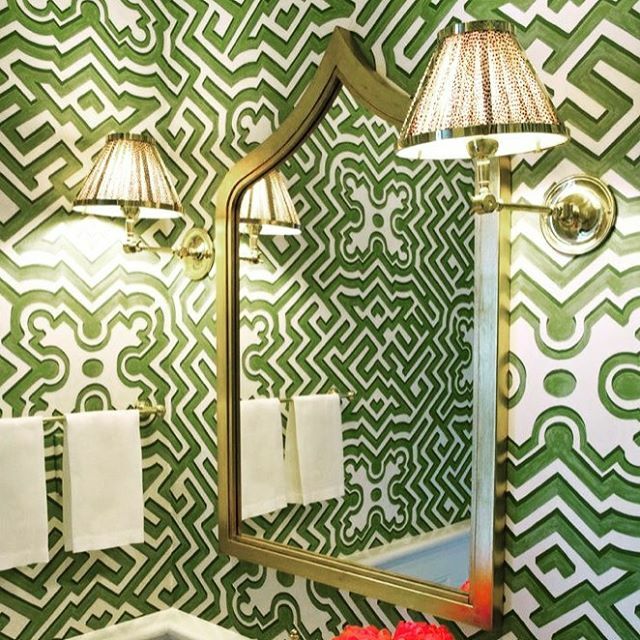 Green wallpaper will provide a stylish focal point in your home, and also prove you have your finger to the design world’s pulse. If you’ve made it to the end of this post, then surely you’ve fallen in love with Greenery – hook, line, and sinker. If so, it’s time to welcome the zesty shade into your home with wide open arms. What’s the best way to get ‘Greenery’ into your home in a big way? By splashing it all over your walls! Whether it’s an accent wall or an entire green room, painting your home in Greenery is a great way to show support of Pantone’s colour of the year.